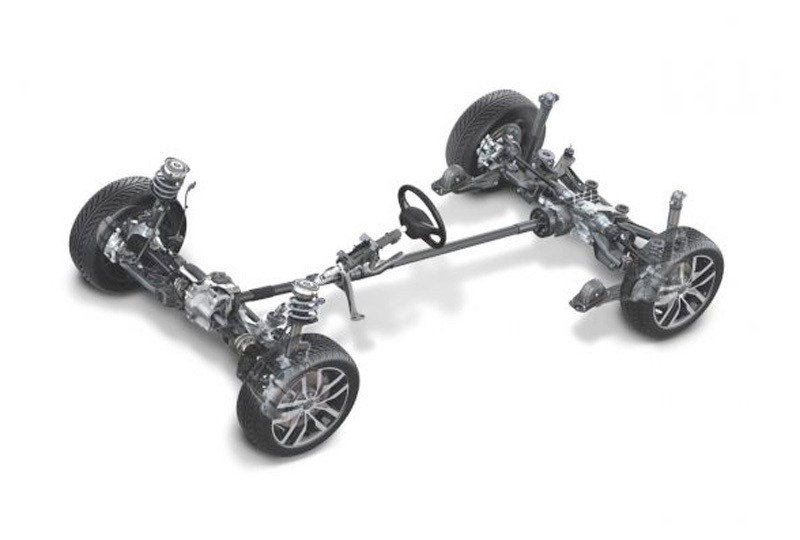 If your vehicle is equipped with available 4MOTION® all-wheel drive, have you ever wondered what's going on between the all-wheel drive system and your vehicle? Turns out, a lot. The behind-the-scenes engineering and design helps 4MOTION deliver power and control when you're behind the wheel, helping your Volkswagen drive more smoothly. But the best thing? You probably won't even notice it. Here's what's behind the magic. As you probably guessed, all-wheel drive (AWD) systems deliver power from a vehicle's engine to all four wheels. That is unlike some of today's cars which send power solely to the front axle. But not every AWD system works the same. There are actually two 4MOTION systems that are available in the Volkswagen model line-up, each with its own functionality. Available on the 2017 Golf SportWagen and 2017 Tiguan and standard on the 2017 Golf R and 2017 Golf Alltrack, the first all-wheel drive system manages power distribution using electro-hydraulic coupling. The 2017 Touareg midsize SUV, on the other hand, is backed by a different technology using a more robust mechanical coupling suited to the vehicle's rugged focus. Both of these 4MOTION variants are closely integrated with important technologies such as anti-lock braking, electronic-stability technologies and traction-control systems. With all that brainpower connected to the vehicle's sensor array, systems can continuously analyze and respond to driving conditions. If wheel slippage is detected, 4MOTION® will almost instantly adjust the amount of power sent to each axle, providing more to the wheels that have the most grip. You may not notice 4MOTION® engaging, but you'll certainly feel the results. The most obvious advantage of 4MOTION comes in a variety of weather conditions. When road conditions interfere with traction on the tires, 4MOTION can reroute some power to the other axle. In addition, unlike vehicles that use part-time AWD technology, 4MOTION is engaged and ready for action. Although part-time systems can engage quickly, even fractions of a second can make a surprising difference. Consider the 2017 Volkswagen Golf Alltrack, a dynamic alternative to crossovers based on the Golf SportWagen. "In cars like the Golf Alltrack, the electro-hydraulic oil pump we use is capable of instantly closing the clutch, thereby engaging the rear wheels and helping maintain forward momentum," explained a Volkswagen of America Product Manager. And Volkswagen engineers have tuned both available 4MOTION systems so that their default configuration is to route 90 percent of engine power to the front axle and 10 percent to the rear. As a result, in normal driving conditions, vehicles like the 2017 Golf Sportwagen and 2017 Tiguan with available 4MOTION, as well as the 2017 Golf R and 2017 Golf Alltrack with standard 4MOTION, react much like traditional front-wheel-drive entries in terms of excellent handling. 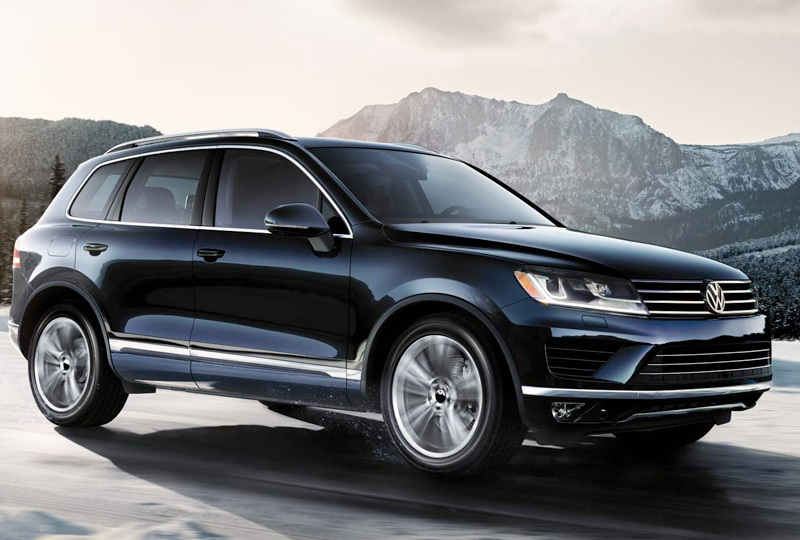 The 2017 Touareg starts with 60 percent of engine torque transmitted to the rear wheels and 40 percent to the front wheels. Beyond its undeniable advantages in both inclement weather and a variety of driving conditions, the 4MOTION system helps sharpen handling for more traditional performance purposes. In the Volkswagen Golf R, for instance, 4MOTION combines with the XDS® cross-differential lock for both axles. During cornering on the track, the technology can apply braking pressure as needed to the inside wheels, slowing them down to help you steer the car more confidently around the curves. It's a feature found on some of today's most sophisticated sports cars. On the Golf R, performance enhancers include a 292-horsepower turbocharged engine, adaptive dampers and the XDS+ electronic brakeforce distribution system. The benefit of the latter, says a Product Manager: "The electronic differential locks are instrumental in carrying speed through corners, as they respond to the weight transfer of the car by transferring torque from the inside wheels, which are more lightly loaded at the time, to those on the outside." That's the kind of edge that helps make the 4MOTION difference. To learn more about the unique performance benefits of the 4MOTION® All-Wheel Drive technology from Volkswagen, contact our dealership today. We'd be happy to let you experience the power of 4MOTION® All-Wheel Drive during your test drive. We're located at 7220 Blanding Blvd., Jacksonville, FL, for all your automotive needs.